Neal Peart is the definitive progressive rock drummer on the scene, and this exploration into his approach is totally unique. The Neil Peart Anatomy of a Drum Solo DVD is a 2-disc set that shows why Neal Peart is the definitive progressive-rock drummer on the scene. This exploration into his approach is totally unique and includes over 3 hours of live and studio footage. 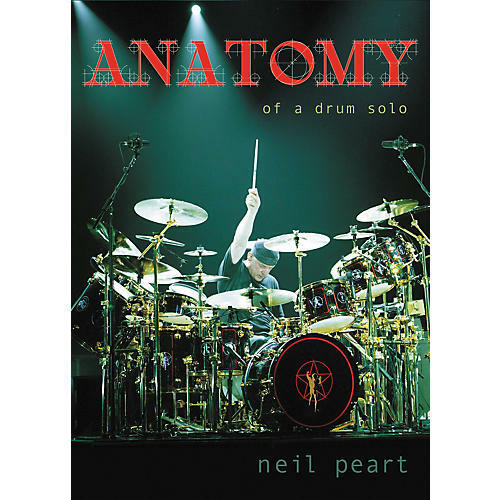 The Neil Peart Anatomy of a Drum Solo DVD features Neil talking about his approach to soloing, dissecting a solo recorded in September, 2004 in Frankfurt, Germany. Neil reviews each segment of this 9-minute tour de force that is a highlight of each Rush performance. He delves into the inspiration and the concept behind each part of the solo and discusses and demonstrates the technique required for performing that segment. The DVD of drum lessons also includes additional interviews and analysis of Rush performances from the drummer's perspective. Bonus Features, including: "Exploration #2"
Alternate Edits-During parts of Neil's analysis of "Der Trommler," the viewer can choose between two different edits, one with related playing examples in full screen and one with Neil in view while the playing example is shown in a separate inset. These spots are identified by an on-screen icon. NO drummer should be without a copy of this DVD. Order today!